Television stories and dramas fail to show the broken homes and the people who are maimed and killed on the highways by drinking drivers. They fail to show the entire picture. I read in the Indianapolis Star a story by Bob Greene that pictures the other side of the coin. This is a story about the dangers of drinking alcohol, especially by young people who start at an early age. It is bad for anybody. It is especially sad to see young people start early in life to destroy their lives and influence by drinking alcohol. She says, “We would go to the relatives’ houses to visit and they would think it was cute if I was drinking. You know, a little kid drinking. They would say, “Oh, you can have one drink but no more,” and they would laugh. I would go into their kitchen and fill my glass. It did not take me long to go from beer to highballs to straight whiskey. Giving a beer to a little kid who does not know any better! I mean people think it is so funny to see a little kid sipping on a drink. They would be appalled if an adult gave a joint or some pills to a little kid. But letting a little kid have a drink is okay. That is the whole thing about alcohol versus drugs. Everyone thinks that drugs are a big problem, but they can handle the idea of alcohol because it is so readily available. It is part of our society. It is everywhere. Everyone does it. It is advertised. People do not want to admit it is a big problem because it is a part of their own lives. They can handle thinking heroin is a problem, but when they talk about alcohol they are talking about themselves. That is the story of a little girl who was given beer, graduated to stronger drink and became an alcoholic. The story shows how her life, the youthful years when she should have been having friends and enjoying herself the right way, was lost and destroyed. Elisha told them to go get some meal and mix it into the pot. It was an antidote to the poison of the wild gourds. Having added the meal, it was served to the sons of the prophets and they were not poisoned. I want to apply this story to alcoholic beverages. We need to cry out as the people did back then. We need to say, “There is death in the bottle, or can, or other container in which beer, wine and whiskey is found!” We need to cry out to our friends and neighbors, “There is death in the bottle, there is death in the can!” We need to explain to our young people in plain terms that they will destroy themselves if they drink that stuff. Somebody has said that alcoholic beverages destroy internally, externally and eternally. 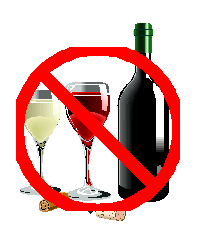 Alcoholic beverages will destroy one physically, morally, mentally and spiritually. Someone may say, “Well, I really do not see anything wrong with drinking in a social way.” He may use John 2 as support for social drinking. John 2 is the story about a marriage feast held in Cana in Galilee. The mother of our Lord Jesus Christ was invited to this marriage feast. Jesus and his disciples were also invited. It was not long before his mother said to our Lord, “They are out of wine and have no more. They have many guests and have run out of wine.” Jesus said, “What do I have to do with you?” He said, “Are you come to call me before my time?” His mother said to the servants, “Whatever he says for you to do, do it.” Jesus did relieve an embarrassed host or hostess on this occasion. There were six water pots and he told the servants to fill them up with water. Having done so, he admonished them to serve the guests. The Bible tells us that the wine was good wine. It tasted better than what they had originally. From this story some have drawn the conclusion that Jesus condoned social drinking. They conclude he would encourage us today to drink wine, go to marriage feasts, cocktail lounges and anywhere else to drink socially with people. That is simply not true. In the Bible the word “wine” is used three ways. Sometimes it is used for the grape while it is still hanging in the cluster on the vine in the field. It is used in the sense of fresh grape juice that is on the vine, not yet gathered and squeezed out. The second way it is used is for fresh grape juice squeezed out of the grape. That is the way it is used in John 2. I would encourage reading a book called “Bible Wines.” The ancients had many ways to preserve grape juice to keep it as fresh and sweet as Welch’s Grape Juice you buy at the supermarket today. They could preserve it for a year at a time. When it was opened it would be as fresh and sweet and unfermented as the day it was squeezed out of the grape. For a party or wedding back then, it was the mark of a good host to serve grape juice that was still fresh and sweet, despite whether it was in or out of season. This undoubtedly is the sense in which the word “wine” is used in John 2 concerning the marriage feast in Cana of Galilee. Nowhere else in the Bible can a passage be found that condemns drinking wine, beer and strong drink more plainly! Notice Solomon said, “Who hath wounds and contentions and redness of eyes and babblings?” It was the people who tarried long at wine and mixed drinks. So they had mixed drinks back then. Then he said, “Look not thou upon the wine when it is red.” That is a prohibition. It meant the people could drink wine when it was fresh grape juice. When it was red and moving itself, or fermenting, they were not to “look upon it.” That meant they could not drink it. The Old Testament is very clear in its condemnation of drinking fermented wine. There are other passages also. The Book of Proverbs says, “Wine is a mocker, but strong drink is raging and whosoever is deceived thereby is not wise.” This covers any other strong drink. Do not be filled with wine. Why? It will cause drunkenness and the loss of self-respect. Be filled with the Spirit. How are we filled with the Spirit? Colossians 3:16 is a parallel passage and tells us, “Let the word of Christ dwell in you richly.” What will happen when we are filled with the Spirit by letting the word of Christ dwell in us richly? We will have songs and hymns and spiritual songs in our hearts that must come out. Therefore, we will sing and make melody in our hearts to the Lord. I appeal to all who are Christian people. Maybe you have done things in the past that are mentioned in 1 Corinthians 6:9-11. If you have been baptized into Christ, you should do those things no longer. Paul said, “Such were some of you.” In other words, you did those things in times past, but can no longer do them and be consistent with the doctrine of Christ. Why? You have been washed in the waters of baptism. You have been sanctified by the name of Jesus Christ. The Spirit of God has justified you. Is it consistent for a washed, sanctified, justified person to drink alcoholic beverages? No! Nor is it consistent to do any of the other sinful things that might previously have characterized his life. I especially appeal to those in their teenage years. The Devil is trying to work on you and tempt you to drink alcoholic beverages. He uses every avenue, every means and every media to try to get you away from serving God and to cause you to lose your spiritual influence. If somebody tries to get you to take a drink, cry out and say, “No, there is death in the pot! There is death in the bottle and I will not destroy my soul, my body and my influence. The Bible tells us that our bodies are the temples of the Holy Spirit (1 Cor. 6). The Bible says that if we destroy our bodies that are the temples of the Holy Spirit, then God will destroy us. 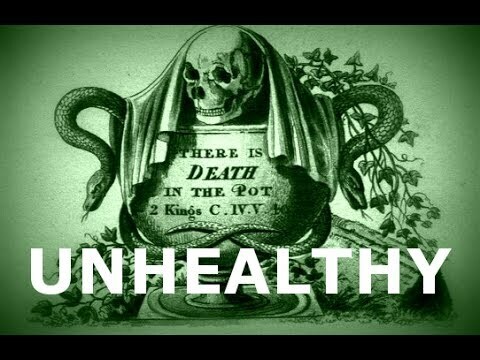 Let us not think of our bodies as receptacles for strong drink, cigarettes, drugs and things of that nature. Let us instead tell ourselves, “I will keep my body as healthy as I can. It is a gift from God and I will not mistreat it. I will not put poison into it. 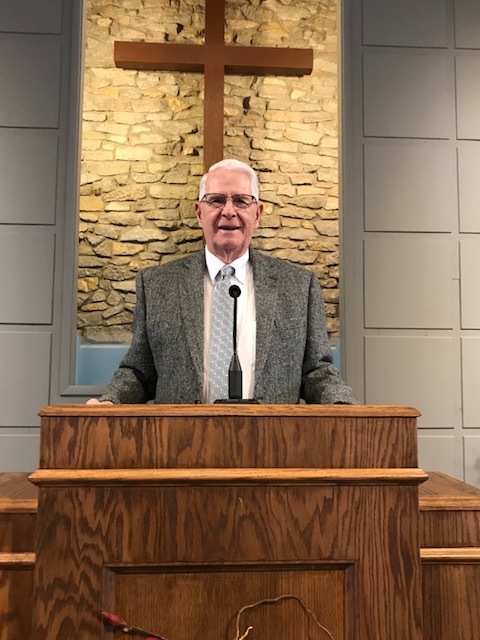 I will try to stay as healthy as I can so I will have good years and good influence to serve God and our Lord Jesus Christ.” This is the way we ought to think. Think seriously about the lesson. Think seriously about a teenage girl who was an alcoholic because her parents started giving her beer when she was just a little girl. Think about what Solomon said. Think about what Paul said, and think about your influence as a Christian. If you are not a child of God, the Church is the best place on the face of this earth to be. There are no better people than Christian people, even with all of their faults and shortcomings. Christian people are the salt of the earth and the light of the world. I believe that if the Church were taken off the face of this earth, God would have to destroy it because we could not stand to live on it. We are the influence on this earth to change the hearts of men and women. We can change them with the gospel of Christ. We can change them when people see the gospel changing and molding our lives and making us into the image of Jesus Christ. Let us not partake of anything that would cause us to lose our influence.